The genre of the painting-relief/construction has been around for some time. Recently, however, this hybrid category has become more prominent, almost suggesting that, at a time when ‘pure’ painting struggles for relevance, the medium’s best chance of survival could depend on forming a coalition with the object. There’s nothing very new about work in this category. 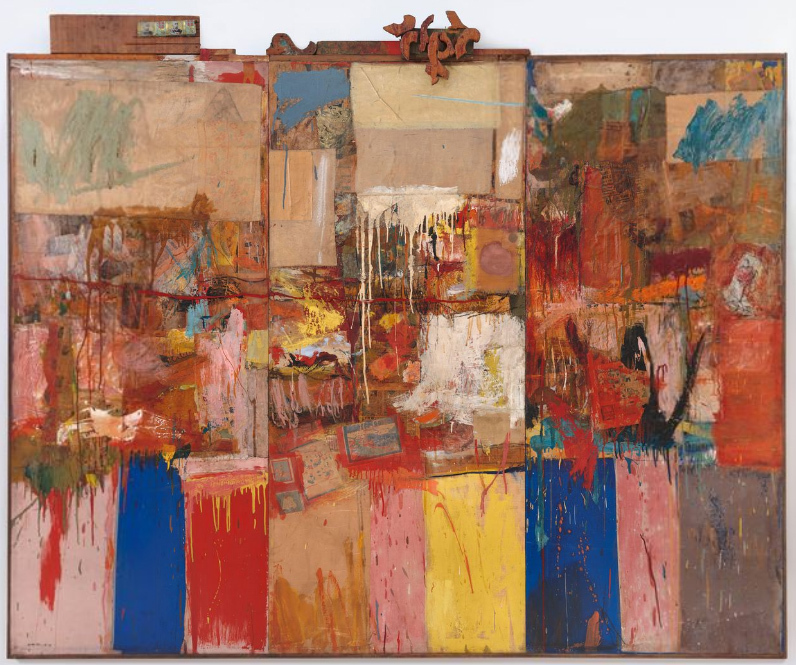 Major exhibitions of Robert Rauschenberg and Jasper Johns, both at the Whitechapel in 1964, made an impressive case for merging the characteristics of two separate disciplines. [i] But the terms of the partnership favoured painting. Both artists developed their careers in the era of Abstract Expressionism and their gestural painting style derived its authority and confidence from that movement, even though they deployed it in a semi-satirical manner. Partial irony didn’t reduce the power of the painterly force that overwhelmed and absorbed the heterogeneous elements that their works contained. The results were cluttered and palpable enough to be classed as ‘objects’, but they weren’t covered by the critique of literalism that the slightly later work of the minimalists received. Frank Stella’s paintings also manifested object-like tendencies but were exempt from this same criticism. Michael Fried argued that the pictorial activity of the ‘depicted’ shape, established their credentials as paintings by ‘defeating objecthood’.